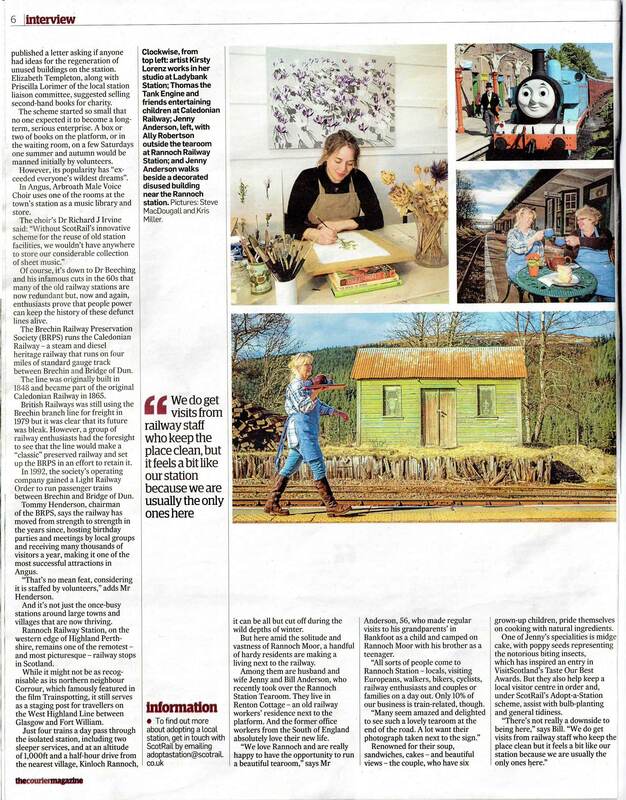 Good to be part of the recycling of unused railway buildings, as featured in this interesting article in this weekend magazine of The Courier. 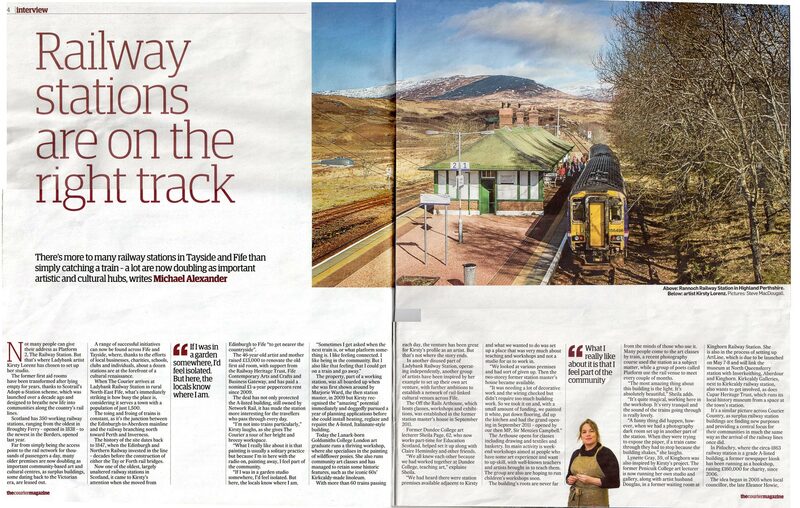 The Rannoch Railway Station Café looks wonderful. Thanks to The Courier for letting me use the excellent portrait shot of me in the studio taken by their photographer Steve MacDougall on my new website.